ALSET GLOBAL is dedicated to creating, developing and providing cost-effective, generic technologies for a safe and efficient deployment of clean hydrogen mobility. Particularly over the past 10 years, political pressure has been growing to require the energy industry to respond to worldwide concerns about climate change and environmental stewardship in general. The company is at the forefront in conceiving and creating solutions to these urgent environmental concerns by devoting its resources to generating the building blocks that will create a new energy economy. 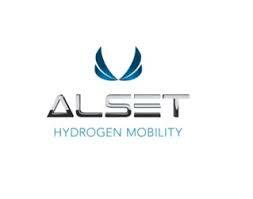 ALSET GLOBAL offers integral hydrogen solutions for premium and performance vehicle manufacturers. A prototype vehicle carrying ALSET’s Hydrogen Hybrid technology will perform on a fully functional basis, providing solid logistics for effective series development. As a technology-based company, ALSET GLOBAL is ready to provide significant development and manufacturing assistance to OEMs.